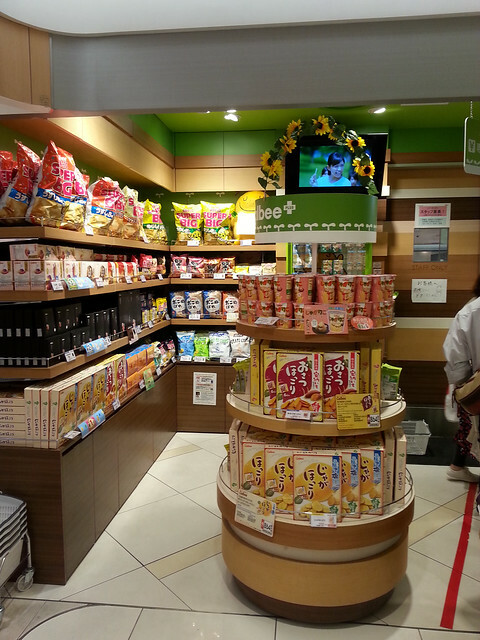 When walking through Tokyo station I saw the Calbee Plus crisp shop, which is near the character street. 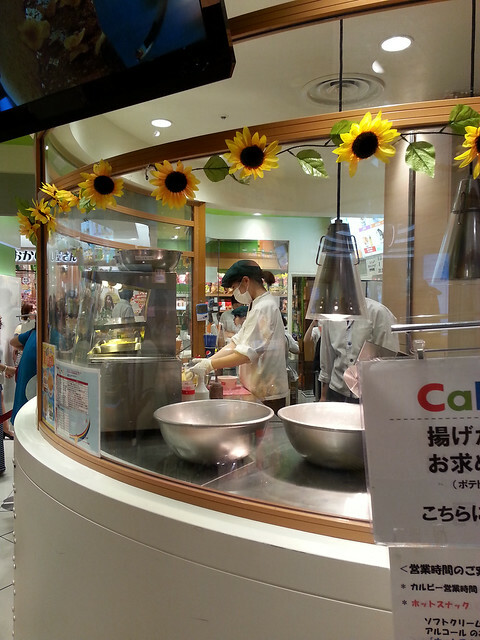 Calbee is a brand of crisps that you can find in supermarkets, but here they make them fresh. You can see the crisp through the window being made. 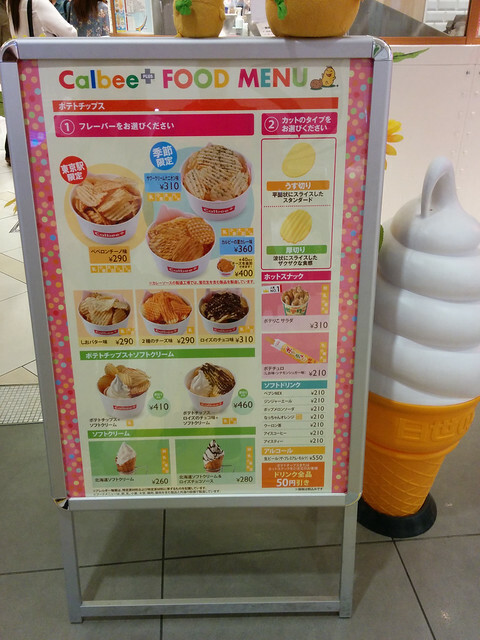 That are many different flavours to try: curry, sour cream and onion, peppercorn, salted butter, cheese, chocolate and ice cream (seriously!). 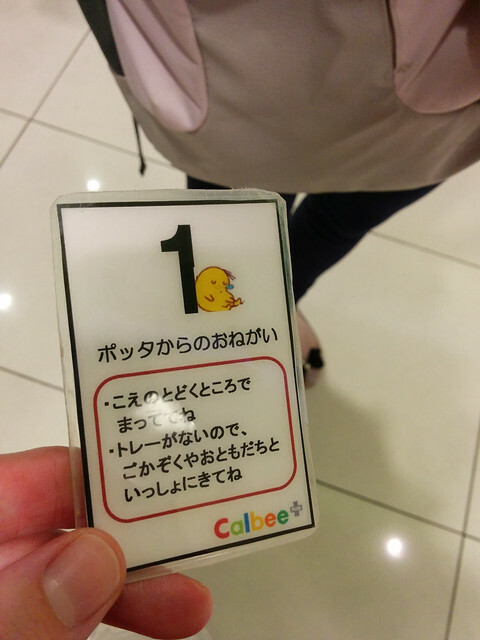 When you place you order you will be handed a number card. 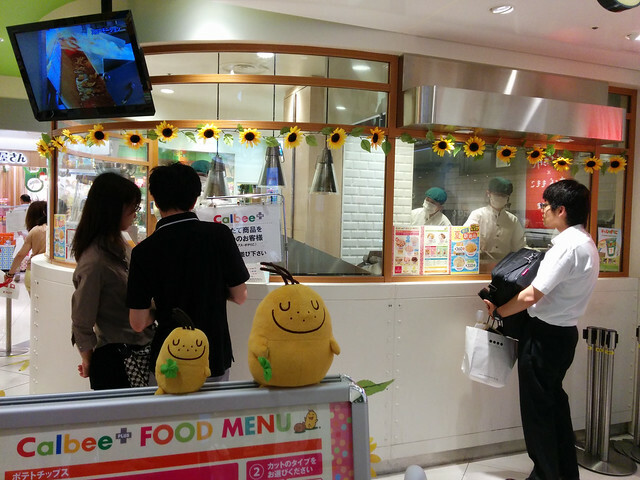 When your crisps are ready they will shout your number, so make sure you know some of your numbers in Japanese. 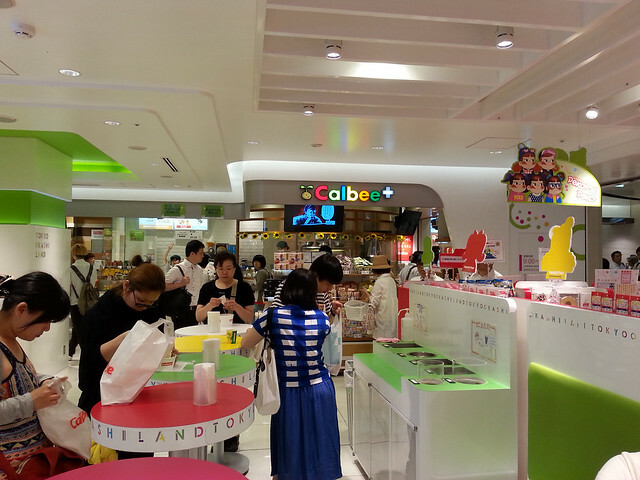 We had a quick look around the shop while we waited. Guess what flavour I chose? Chocolate of course! 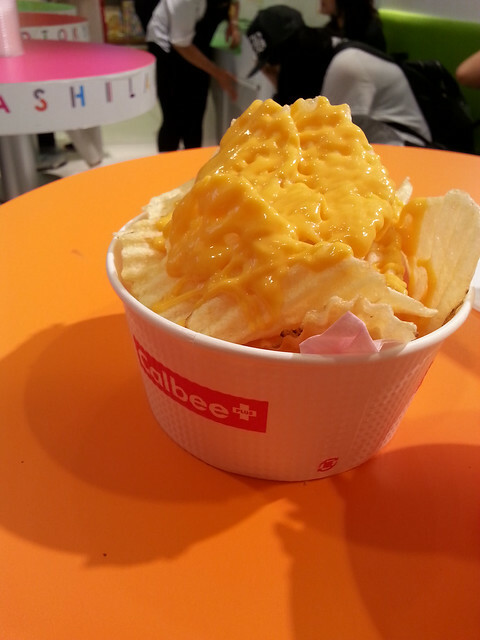 Ben chose the cheese sauce crisps. The chocolate crisps tasted nice, but a bit strange being sweet! I think I still prefer savoury crisps. 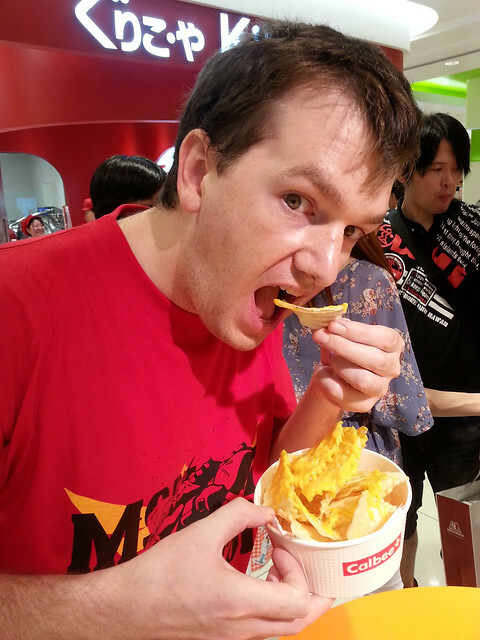 I really miss salt and vinegar crisps from back home as you can’t buy them over here. 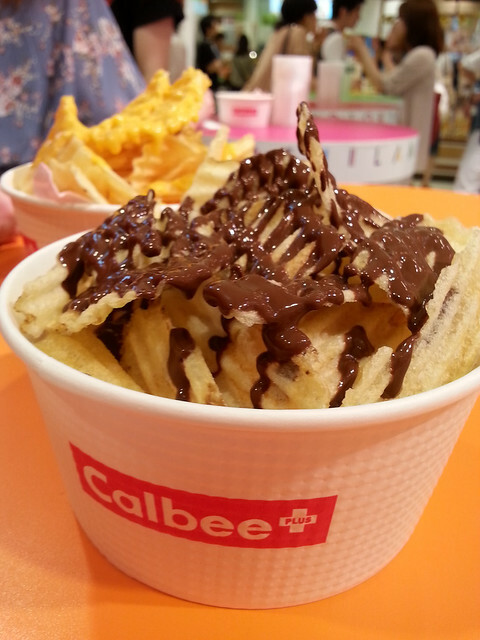 Have you tried Calbee crisps freshly made at one of their shops?